Haier is introducing its sub series of side by side series which gives your home or kitchen a new touch of ease. French Door Super Space Series is a series with extra large cabin, performance and with the upgraded design. This series consume less energy, so it can be said that this Haier French Door Super Space Series is the energy efficient series. Three dimensional with double air curtain refrigerator function maintains equal amount of cooling to the all directions of the refrigerator and keeps food with its originality and delights. Like Super Shine Series, Haier French Door Super Space also holds adjustable spill-proof shelves made with toughened glass which keeps goods with reliable safety. For preserving the perishable goods like vegetables and fruits, the Super-big twins box facility is available. So store the goods in this Haier French Door Super Space series with pure freshness for the long lasting period of time. Kenwood has designed some fascinating and highly desired refrigerators that have got immense importance in home appliances. Keeping its products up to date and up to the market demand, Kenwood..
Kenwood is a Japanese company that produces products of highly optimized and phenomenal technology. Each of its products set an example for the coming models. Acson international company has made remarkable success in the vicious competition of electronic companies in Pakistan. It has variety of household appliances including…. 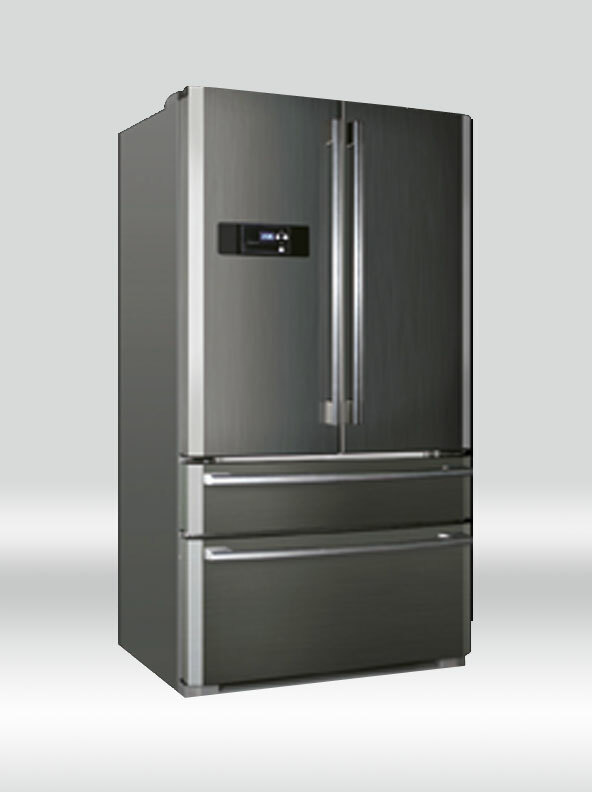 Mitsubishi group has launched its Folio Series Refrigerators which are impressive for their stylish looks. A great skill with innovative work makes this series outstanding. Have a look on it; you will not blink your eyes for a moment.